I’m going to let you in on a little secret, I’m no artist. If you ask me to draw a portrait of someone you’ll probably get something that resembles more of a stick figure. I try. But some people just aren’t blessed with that artistic bility. 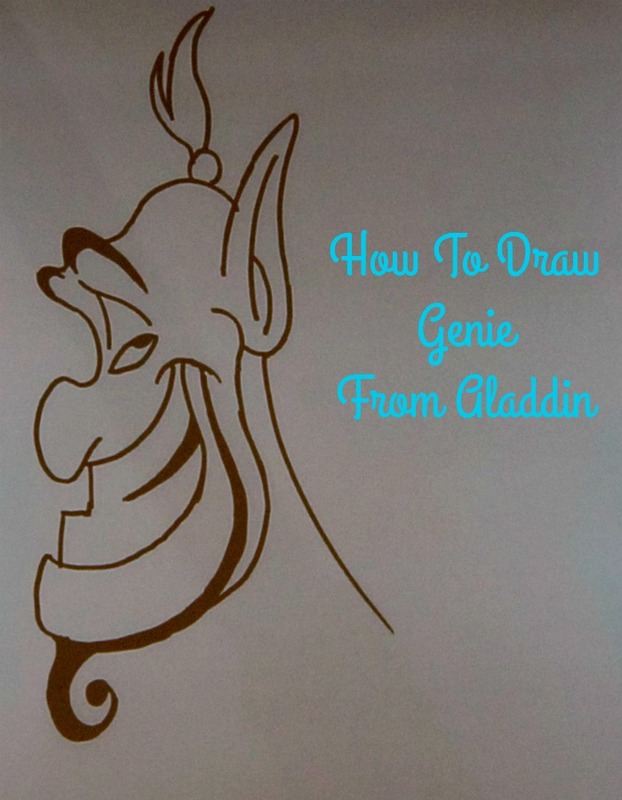 So last month when I got a one on one lesson on how to draw Genie From Aladdin , I figured it was going to be one hot mess. 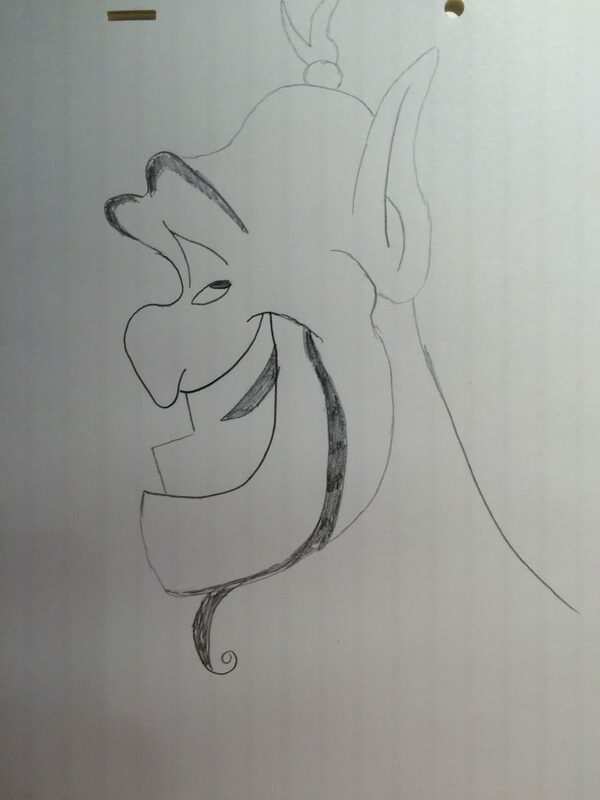 But little did I know that this drawing lesson was going to be coming from one of the greatest animators of our time, Mr. Eric Goldberg. Eric Goldberg wears many hats in the animation industry. He is an animator, film director and even voice actor. Plus he is just a really, really nice guy. If you’re a Disney fan, you might recognize some of his work Phil from Hercules, Frozen, Winnie The Pooh and most notably (and my favorite) The Genie From Aladdin . Our group had about an hour with Mr. Goldberg to talk about his time on Aladdin. 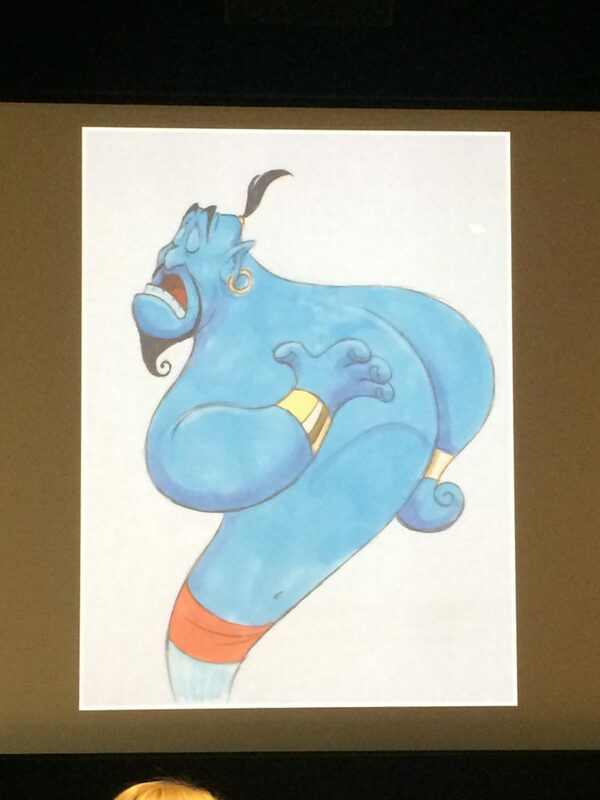 He talked a lot about his love of the film and creating the Genie and even how much he enjoyed working with Robin Williams. He actually did a special tribute for Robin Williams this past year that was very touching. Here’s a sneak peek. Eric talked a lot about his time making The Genie and how it was a long process but one that he is still proud of to this day. 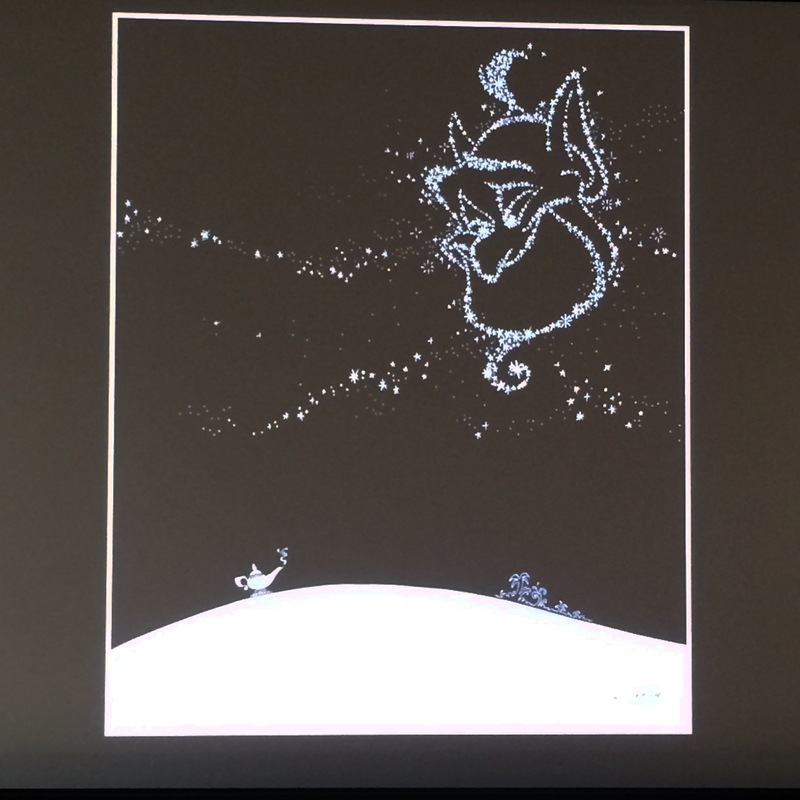 He also said that during the making there were a lot of great outtakes that they just didn’t have room for in the original film, but that they released some of them, finally, onto the new Blu-ray and DVD of Aladdin so be sure to check that out. 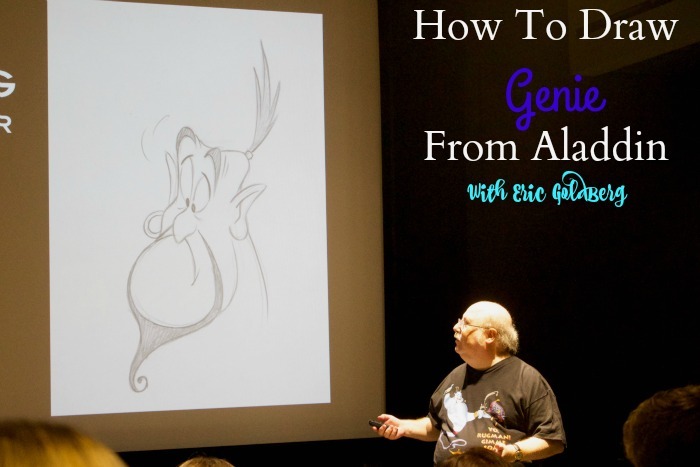 I really enjoyed my time with Eric Goldberg and having him show us all how to draw Genie from Aladdin. He is a great teacher! Be sure to keep your eye out for more animations coming from Mr. Goldberg in the very near future. He was actually the animator of the tattoos in the new Disney film MOANA coming out next year. *As part of the #AladdinBloggersEvent my travel and accommodations to this event were covered. All opinions expressed are my own. Post contains affiliate links.